Across Montana, nonprofit leaders are gathering locally to share information, network with one another, and learn new skills. Some groups are more formal than others. MNA encourages you to connect with local networks if one exists in your community. Browse for a network near you by referring to the geographic region provided on the map below, or see an alphabetical listing at the bottom of the page. Missoula Nonprofit Network’s mission is to enhance the quality of life in Missoula by strengthening organizations that make social change possible. ANA's mission is to coordinate, collaborate, and strengthen Anaconda's nonprofits to ensure a vibrant community for all. HDR is an informal Helena-area network of executive directors, development directors, and fundraising staff that meet to share practices, explore fundraising topics, and build community. Organized by the Bozeman Area Community Foundation, the Nonprofit Cafe is a monthly gathering of Bozeman area nonprofit representatives (staff, directors, board members, etc.). These informal, open gatherings take place on the fourth Friday of each month. Hosted by the Park County Community Foundation, the Nonprofit Network is a monthly “brown bag” lunch program that provides local nonprofit staff, board members and volunteers with a variety of educational and collaborative opportunities. Each program focuses on a relevant nonprofit topic and is facilitated by an expert in that field. 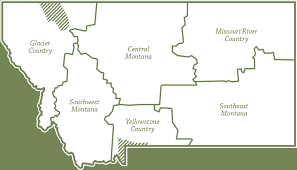 The Red Lodge Community Foundation provides support for regional nonprofits through meeting centers, services, a directory, and their Nonprofit Café. Nonprofit Connect creates a platform and structure where all nonprofits organizations, non-government organizations, government entities, and individual volunteers come together to enrich and advance Richland County. The Billings Community Foundation helps individual donors and charitable organizations meet the needs of the Greater Yellowstone Region by providing donor services, encouraging Nonprofit Endowment building, and other programs and opportunities throughout the community. Hosted by the Park County Community FoundaBoztion, the Nonprofit Network is a monthly “brown bag” lunch program that provides local nonprofit staff, board members and volunteers with a variety of educational and collaborative opportunities. Each program focuses on a relevant nonprofit topic and is facilitated by an expert in that field.